WTF? Did the rise of agriculture—and soft foods—give us the ability to drop F bombs? 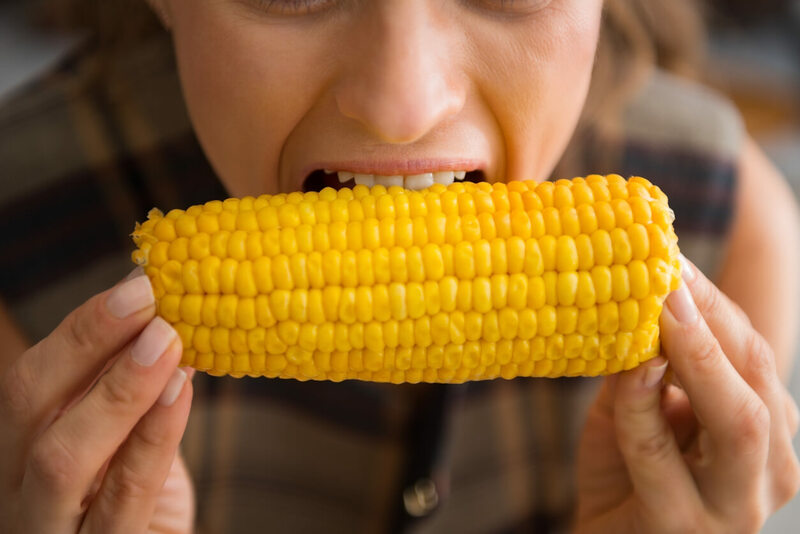 We don’t usually pay attention to how we position our teeth when biting into a tough steak or ripping soft kernels off a cob of corn. But a team of linguists has just reported in Science on their “biomechanical simulations of different human orofacial structures” to test the hypothesis that changes in dentition that accompanied a switch from a hunter-gatherer lifestyle to an agricultural one may have, perhaps accidentally, brought about the ability to pronounce “f” and “v” sounds. 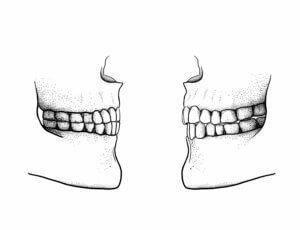 These utterances that require the upper teeth to extend over the lower lip are called “labiodental sounds.” They’re harder to make than just extending the upper lip over the lower to produce “m,” “w,” and “p” sounds, which are common in many languages. Linguists thought that human speech was set with the emergence of the first Homo sapiens around 300,000 years ago. But in 1985, linguist Charles F. Hockett observed that languages that include “f” and “v” are often found in societies that eat softer foods. 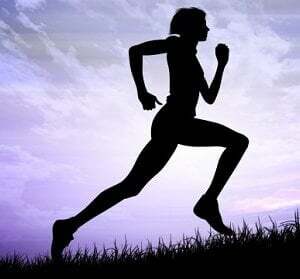 From 3.3 million to 11,650 years ago, during the Paleolithic, our australopithecine and Homo ancestors had to exert “masticatory exertion” to chew woolly mammoth steaks. 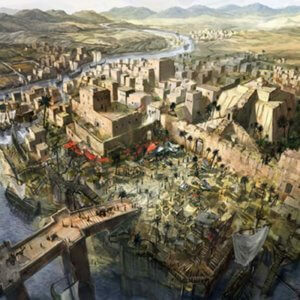 Agriculture began in the Near East during the Neolithic period, from 12,000 years ago to about 6,500 years ago, during the last phase of the Stone Age. Profound changes to human society ensued once our forebears learned how to bring food to places where they could settle, rather than roaming about to hunt and gather. 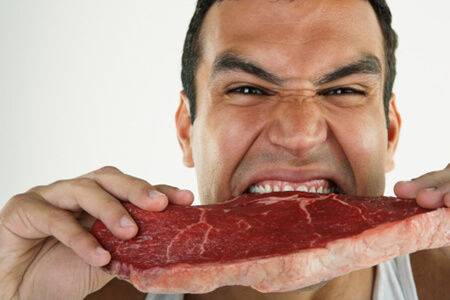 To bite into a tough piece of meat, the top and bottom teeth must come together. But chomping into an apple requires that the top teeth make first contact, then the bottom teeth pull the sweet bite into the mouth. Because of these different actions, eating a plant-based diet may have, over time, selected for the dental measurements of “overbite” (vertical top teeth are over the bottom teeth) and “overjet” (the upper teeth project out). Overbite and overjet are normal in childhood, but agriculture may have extended them to persist throughout life, the new paper claims. Eating meat requires a third type of bite, edge-to-edge. “Upper and lower teeth meet edge-to-edge, causing significant trauma due to excessive force on the teeth. Patients will often crack their teeth or require root canal treatment. There will be excessive wear and tooth sensitivity,” according to this source. Try it, aligning the top and bottom teeth exactly. It feels weird. Overbite and overjet took over edge-to-edge biting with the rise of agriculture and eating softer foods. To test their hypothesis, the researchers made models of teeth and jaws to show that it’s much easier to make the “f” and “v” sounds with overbite and overjet used to eat veggies than the edge-to-edge biting needed to chew meat. The work utilized a new technique that took five years to develop, Dr. Blasi said in a news conference. Related article: If DNA can predict facial construction, how can we ever have genetic privacy? 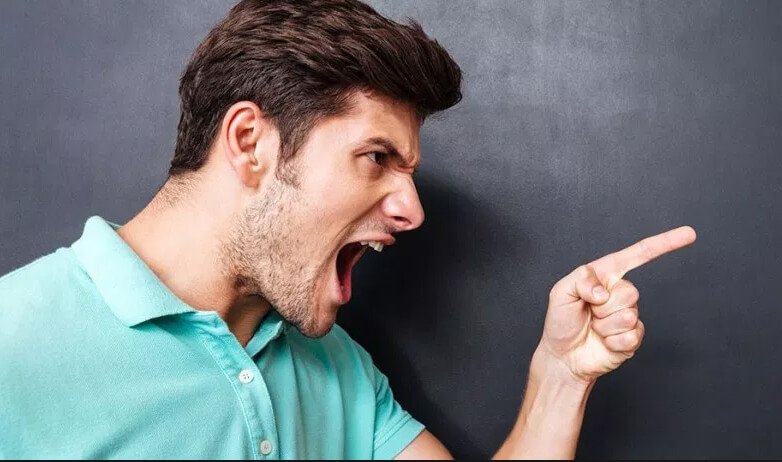 If communication was important in survival, and presumably it was, then individuals who could pronounce “f” and “v” would have had a reproductive advantage – and that’s what counts in evolution. Changes in dentition that followed changes in food sources and the rise of food processing technology such as industrial milling beautifully illustrate natural selection. The ability to pronounce “v” and “f” is a fortunate accident, the researchers suggest, of the dentition changes that facilitated eating more fruits and vegetables. It’s the difference between being able to yell WTF and not. The researchers didn’t take the genetic approach of sequencing genes to look for signs of positive selection in people who can easily say fart and vomit. Positive selection is revealed in changes in the amino acid sequence of a protein seen in humans but not in other primates with whom we share so much of our gene and genome sequences. 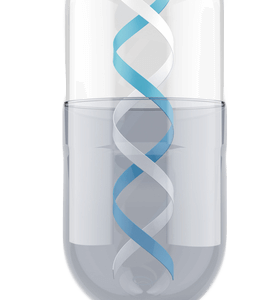 The change must be in an amino acid, and not just a silent DNA mutation, because natural selection acts on phenotypes, not genotypes. The classic example of positive selection in humans is the distinctive mutation that enables highlanders to live more than two miles above sea level on the Tibetan plateau, thriving in the low-oxygen environment where others become violently ill. The full paper on the teeth isn’t being released until after the news hits the media, so I can’t tell whether or not the investigators did genetic experiments. Instead, they surveyed modern populations to see which used languages that included “v” and “f” and measured the dentition models. They found that hunter-gatherers are less able to make these sounds. They estimate that from 6,000-8,000 years ago 3 percent of sounds were labiodental, a time when languages were developing. 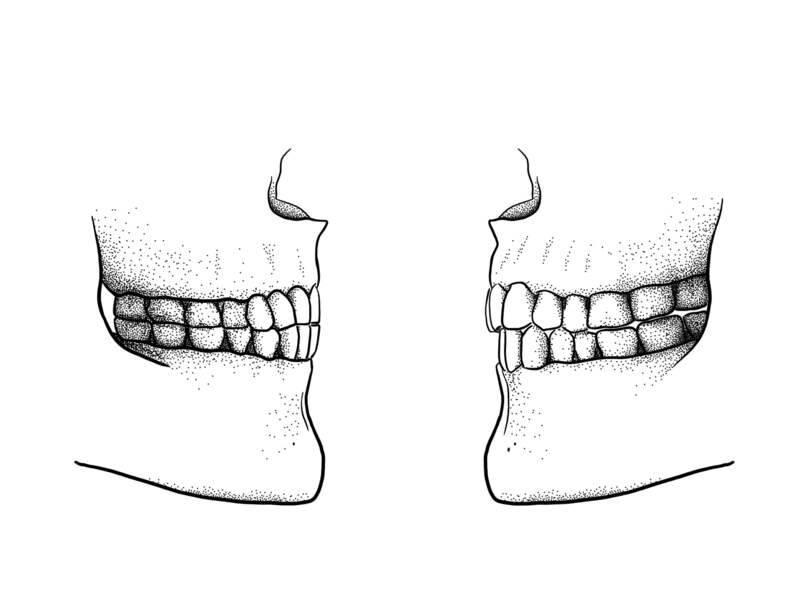 At least half of modern languages include labiodental sounds. The researchers focused on Indo-European languages because they are “well documented, stretching from Iceland in the west to India in the east. We know when food processing technologies spread through this area and its many societies and cultures. It is a great initial case study for investigating the emergence and spread of labiodental sounds. In the future we’ll apply the approach to other speech sounds,” Dr. Moran said. “Change in diet paved the way for labiodental sounds in language. I hope our study will trigger wider discussion of the fact that some aspects of language and speech are related to complex human behaviors,” Dr. Blasi concluded.